Harlequin Special Edition brings you three new titles for one great price, available now! These are heartwarming, romantic stories about life, love and family. 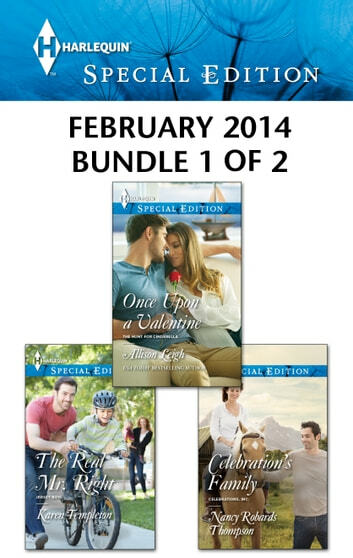 This Harlequin Special Edition bundle includes Once Upon a Valentine by USA TODAY bestselling author Allison Leigh, The Real Mr. Right by Karen Templeton and Celebration’s Family by Nancy Robards Thompson.